From how-to guides to helpful tech explanations, we’ve got it all. Take a look around our learning center and pick up some new IQ points in the process. Continuous Monitoring is a necessary part of every good cybersecurity process. It begins with verifying the effectiveness of the Protection measures already implemented. Testing of cybersecurity procedures and mitigations (such as backups, proper data management, and access) is absolutely vital. The rise of cybersecurity threats in devices is especially concerning since 43% of cyber attacks target small businesses. In order to stay informed, it’s important to keep abreast of the changes in cybersecurity that directly affect you. Here are some key trends that will impact everyone in 2019. When it comes to protecting digital infrastructures, the government has established certain rules for certain industries. If your company is part of a regulated industry, here are some ways to certify that you're in full cybersecurity compliance and stay protected. The cloud is becoming more and more popular with each passing year. Why this surge in cloud computing? 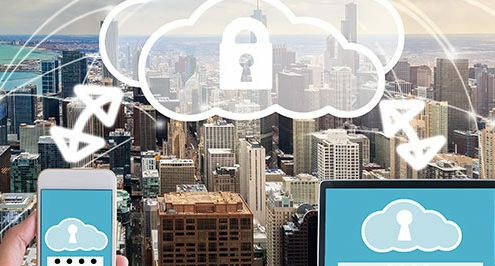 There are many reasons for the cloud's rise in popularity ranging from increased mobility to enhanced security. Here are 5 cloud computing benefits you should know about. If your organization uses Office 365, you already know firsthand the many benefits its cloud services bring to your business. We’ve compiled a list of 6 best practices that will improve security, protect your organization, and set your business up for success with Office 365. /wp-content/uploads/2017/11/vision-logo-large.png 0 0 Vision Computer Solutions /wp-content/uploads/2017/11/vision-logo-large.png Vision Computer Solutions2016-10-18 11:43:372016-10-18 11:43:37Death, Taxes, and Ransomware? You’re probably well aware of the more mundane methods in which technology can help boost your productivity: calendars, email managers and the like. But with some outside-the-box thinking, you can take the way you work to the next level. Here are the best productivity and email apps to use throughout your hectic workday. /wp-content/uploads/2017/11/vision-logo-large.png 0 0 Vision Computer Solutions /wp-content/uploads/2017/11/vision-logo-large.png Vision Computer Solutions2014-04-01 12:12:332014-04-01 12:12:33Too Many Google Accounts? Is There Any Good Reason to Stick with Windows XP? Vision Computer Solutions /wp-content/uploads/2017/11/vision-logo-large.png Vision Computer Solutions2014-02-15 10:32:272014-02-15 10:32:27Is There Any Good Reason to Stick with Windows XP? Vision Computer Solutions /wp-content/uploads/2017/11/vision-logo-large.png Vision Computer Solutions2014-01-10 13:43:532014-01-10 13:43:53How Safe is Your Email? Is Poor Technology Driving Your Best Employees to the Exit Door? /wp-content/uploads/2017/11/vision-logo-large.png 0 0 Vision Computer Solutions /wp-content/uploads/2017/11/vision-logo-large.png Vision Computer Solutions2017-02-21 14:45:202017-02-21 14:45:20Is Poor Technology Driving Your Best Employees to the Exit Door? Put your faith in Vision.